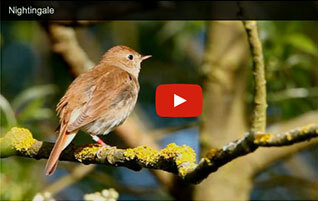 UK Nightingales are threatened with extinction. Help their voices be heard. 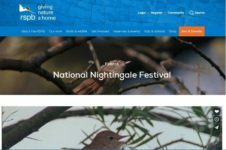 This year Nightingale Nights is supporting the 'National Nightingale Festival' - visit https://www.rspb.org.uk for event listings. 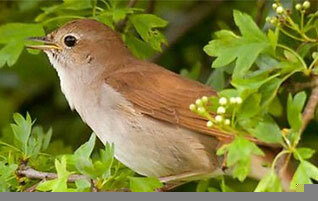 Follow @NgaleNights for updates on Nightingales and live broadcasts of birds. 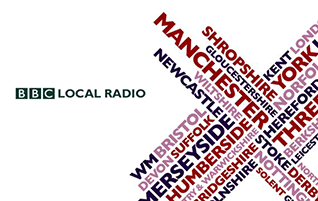 Ask your local radio station to get behind the campaign to bring back the old BBC tradition of broadcasting nightingales live by helping people find out where they hear Nightingales and be part of broadcasting them live to help reconnect everyone with this amazing but endangered bird. 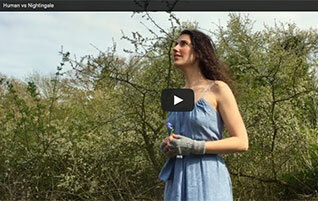 She sings and the bird sings back. Check out more at our videos and sounds pages. Display this logo online or in real life ! Listen. Play. Make music. Sing. Campaign. 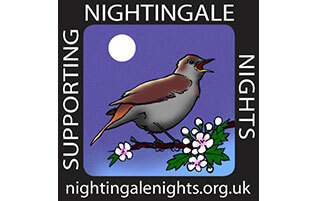 Keep Nightingales alive and not just a memory. 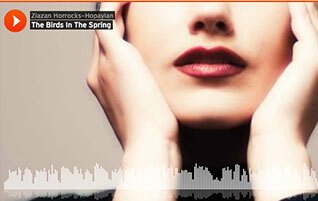 Listen on Mixlr http://mixlr.com/nightingalenights/ and join chat about live broadcasts of actual signing nightingales. Reprieve for Lodge Hill Nightingales ?